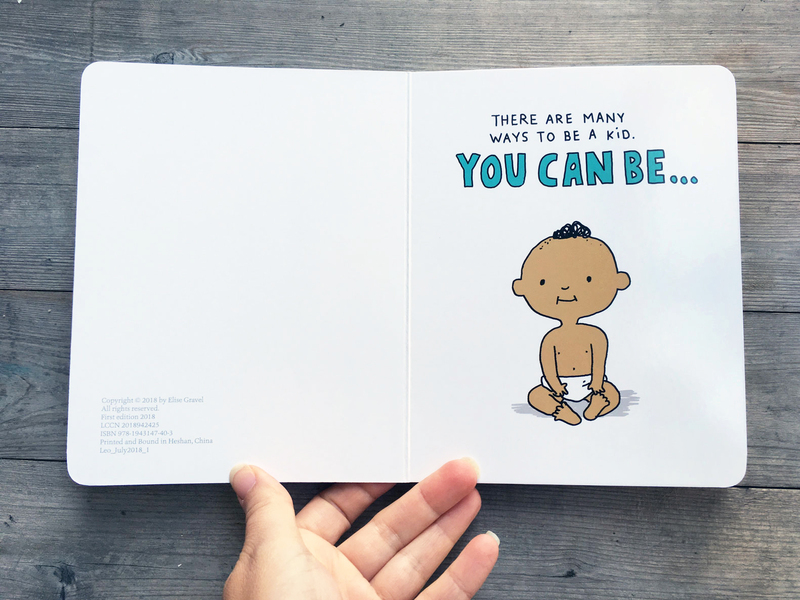 Here’s a little book I made to teach your young ones that their gender does not define who they are, how they are required to behave, what they are required to like, and how they are required to feel (or not feel). 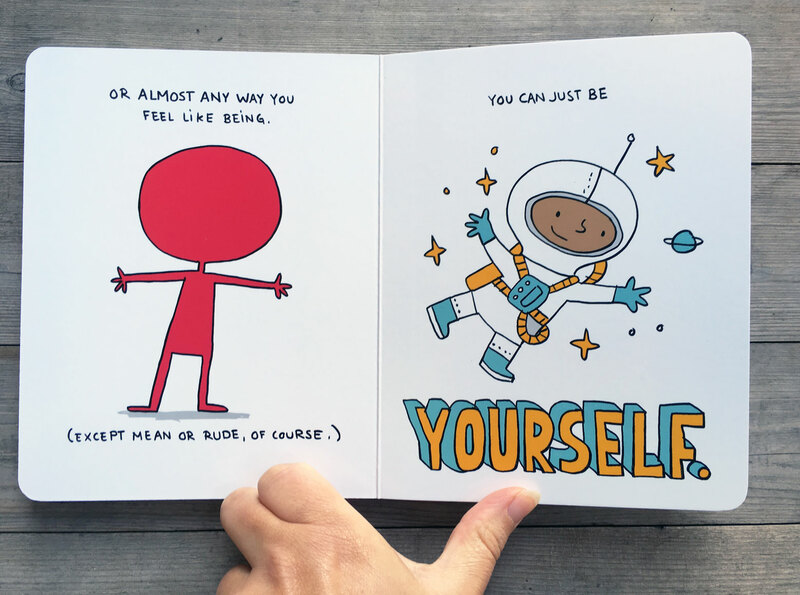 Let kids be kids; let kids be themselves! The book was published by Innovation Press and will be in stores as of October 9th. You can preorder it at your favorite online bookstore. 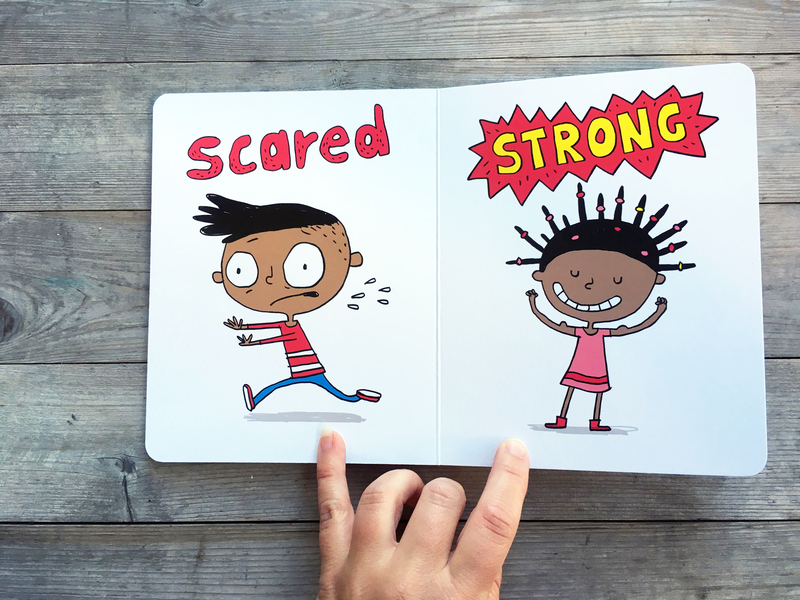 For more fun stuff for kids about gender (and other things! 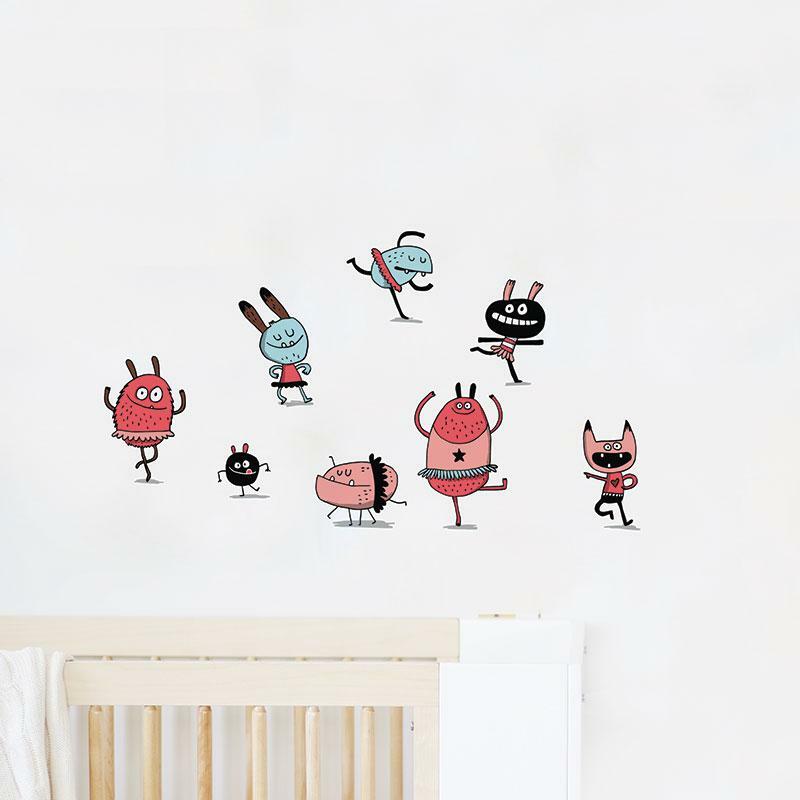 ), visit my boutique in the Free Printable Stuff section. 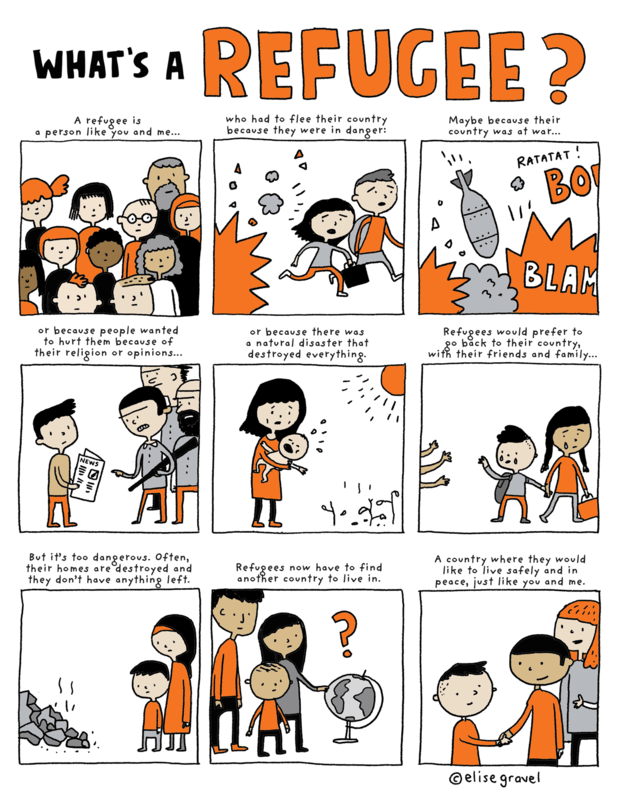 I made this short comic to explain to kids what a refugee is. Parents and teachers, feel free to print this for personal / classroom use only. You’ll find a higher-res version HERE. 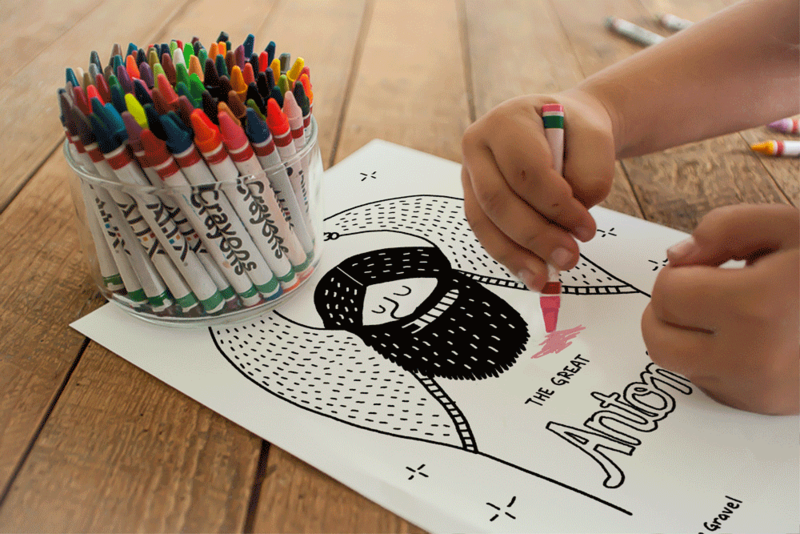 For my other free mini-posters, click HERE and then visit the “free printable stuff” section. 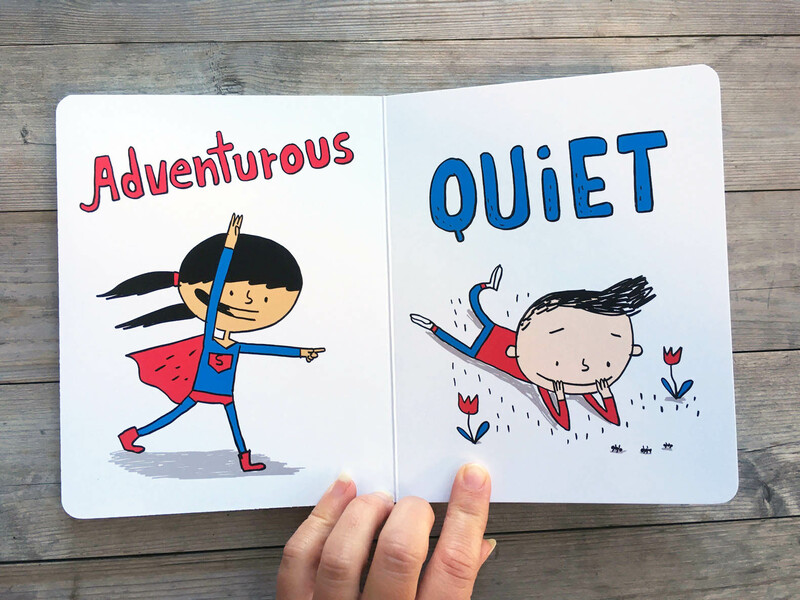 And while you’re at it, take a look at my books for children, too! 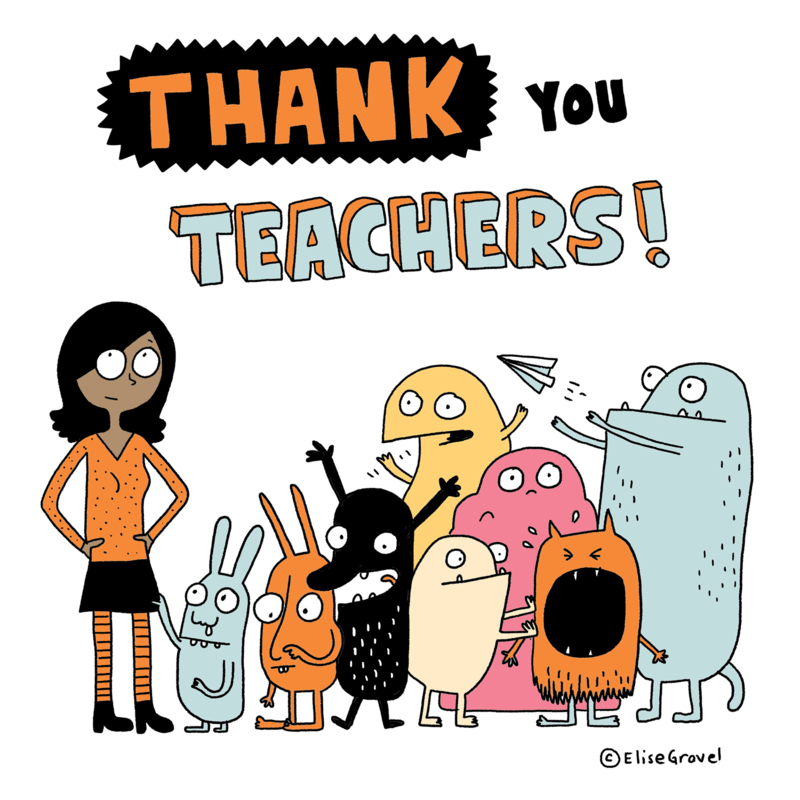 Thank you teachers for taking care of our little monsters! Feel free to print this card and offer it to your favorite teacher. You can download the high-res version HERE. Personal use only. 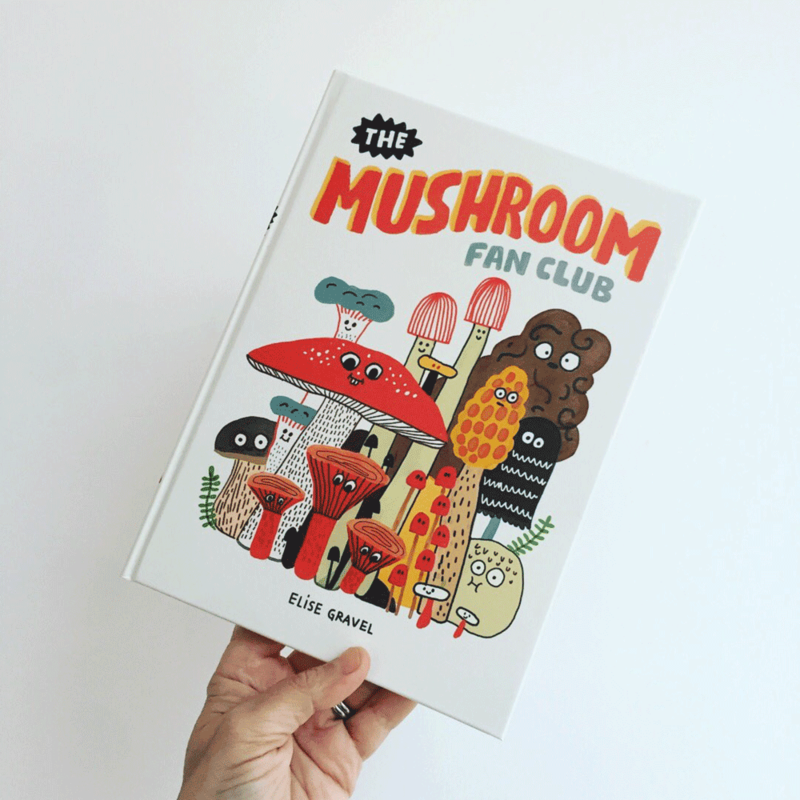 Here’s my new book, The mushroom fan club, and it will be in stores this Friday! 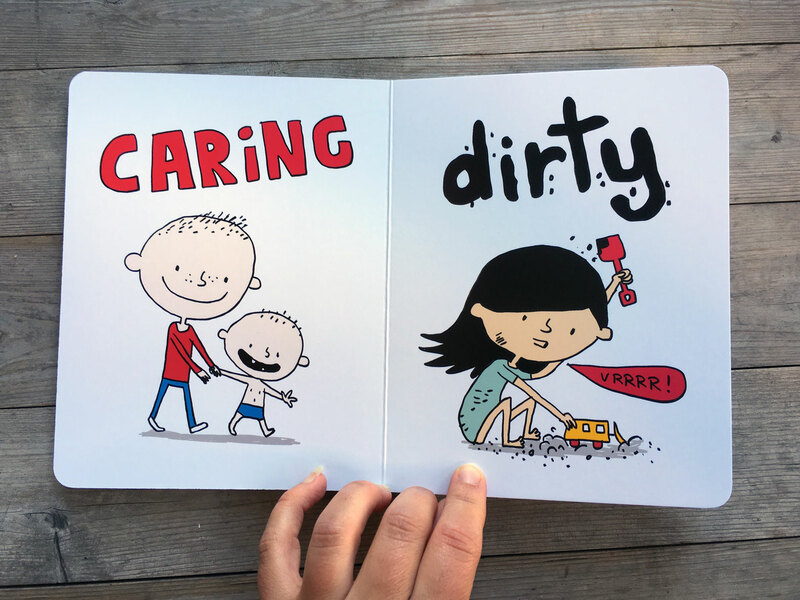 You can already buy it in some lucky bookstores or pre-order it here. 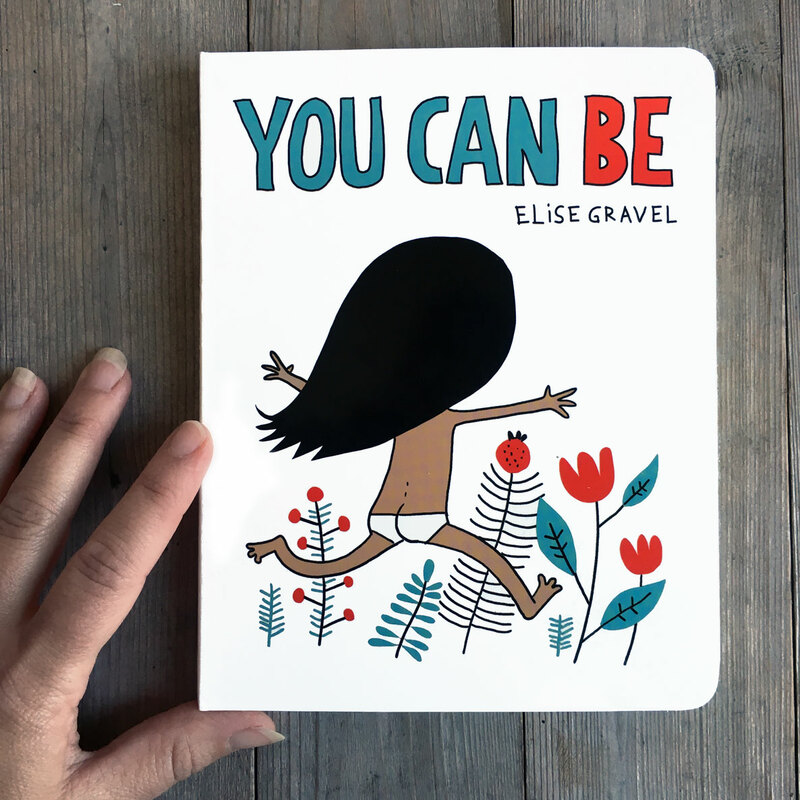 From Children’s Book Council: “Elise Gravel is back with a whimsical look at one of her family’s most beloved pastimes: mushroom hunting! Combining her love of exploring nature with her talent for anthropomorphizing everything, she takes us on a magical tour of the forest floor and examines a handful of her favorite alien specimens up close. While the beautiful coral mushroom looks like it belongs under the sea, the peculiar Lactarius indigo may be better suited for outer space. 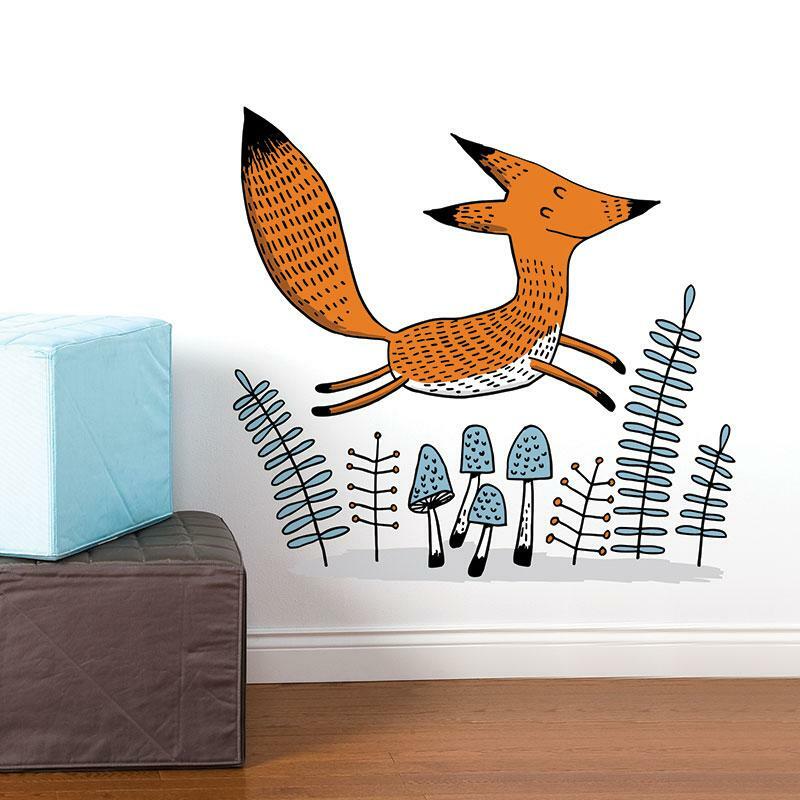 From the fun-to-stomp puffballs to the prince of the stinkers—the stinkhorn mushroom—and the musically inclined chanterelles, Gravel shares her knowledge of this fascinating kingdom by bringing each species to life in full felt-tip-marker glory. 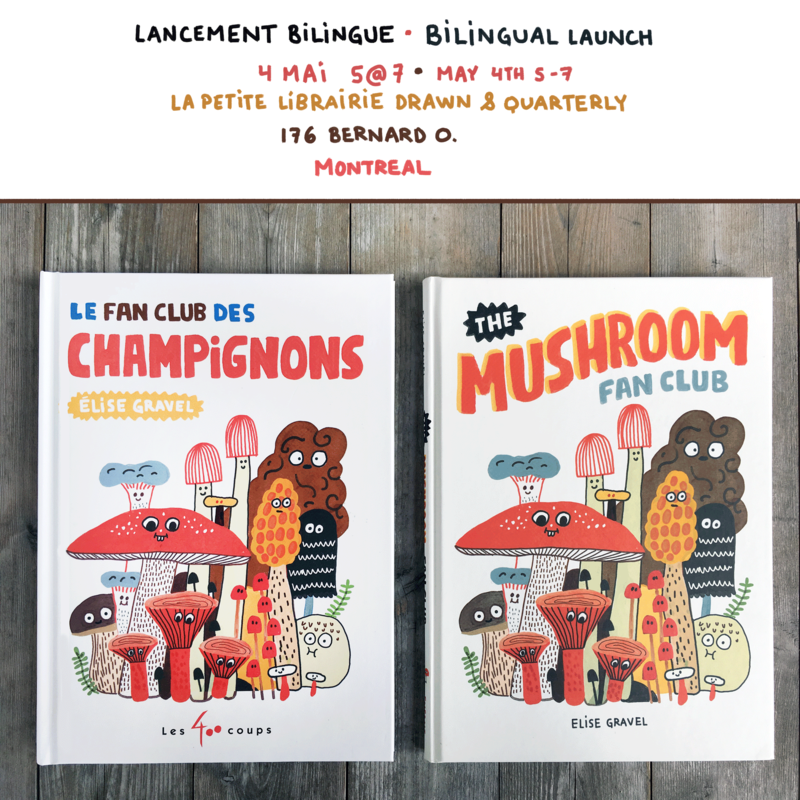 Launch of my book The mushroom fan club! 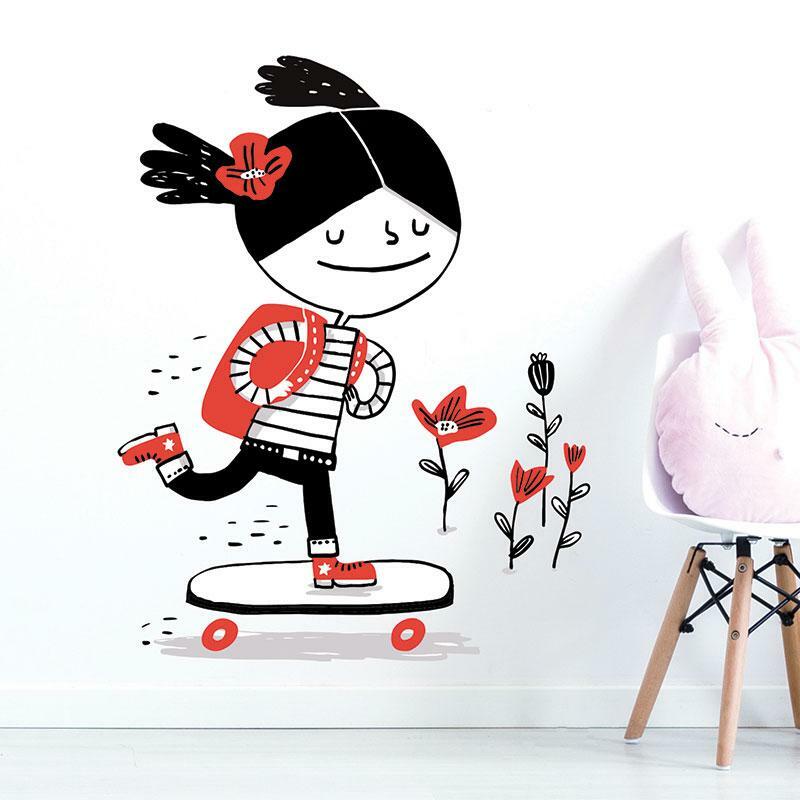 La petite librairie Drawn & Quarterly! Will you come say hi? 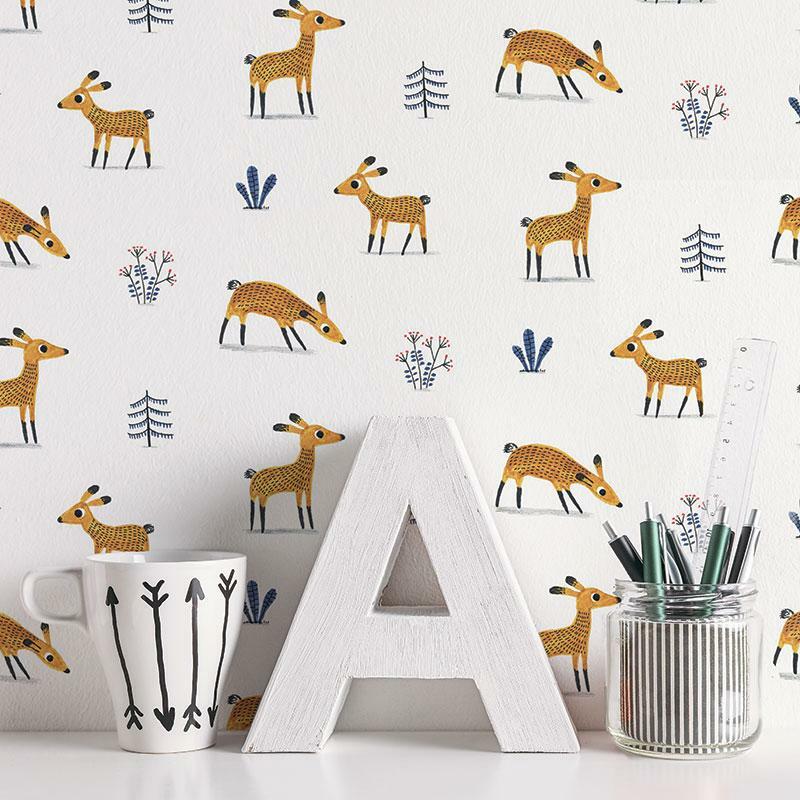 La petite librairie Drawn + Quarterly. J’ai hâte de vous voir! 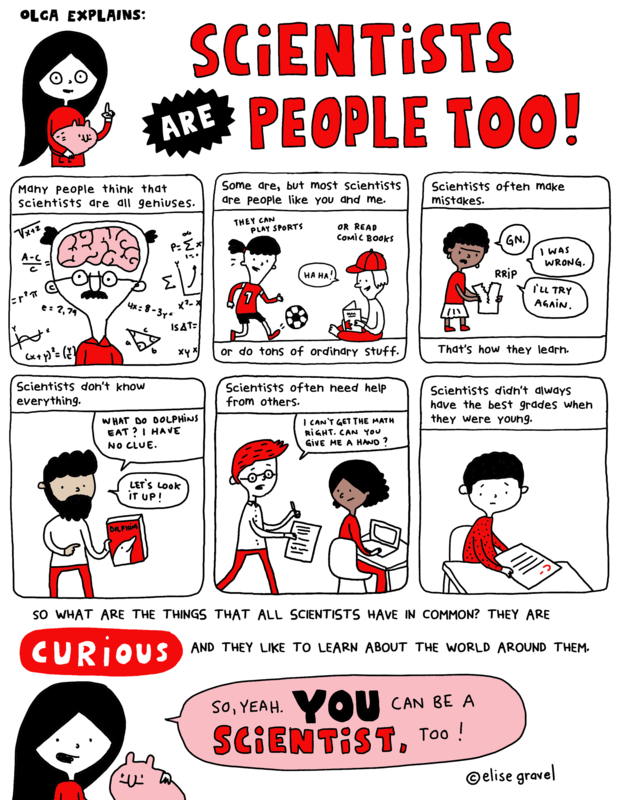 I made this poster to teach kids that scientists are normal, regular people, and that everybody can become a scientist. Not just math geniuses! Scientists make mistakes, often need help from others, don’t know everything, and don’t always have the best grades at school. Teachers, parents, you can download and print this cartoon for home or classroom uses (no commercial use allowed). You can also print Olga’s explanation on the scientific method here and buy the Olga books here. 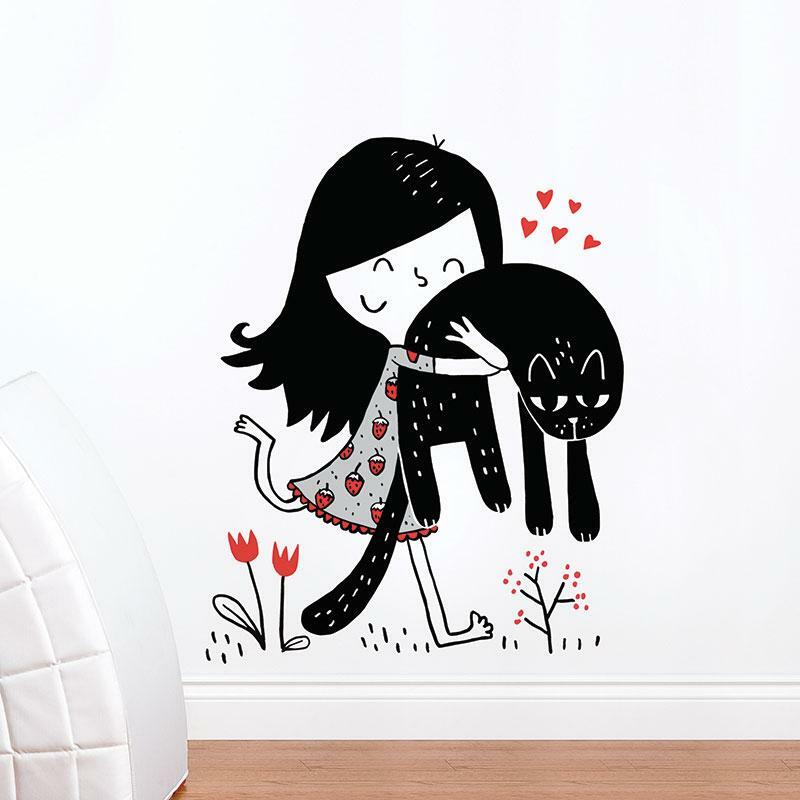 For all my free printable posters, click here. 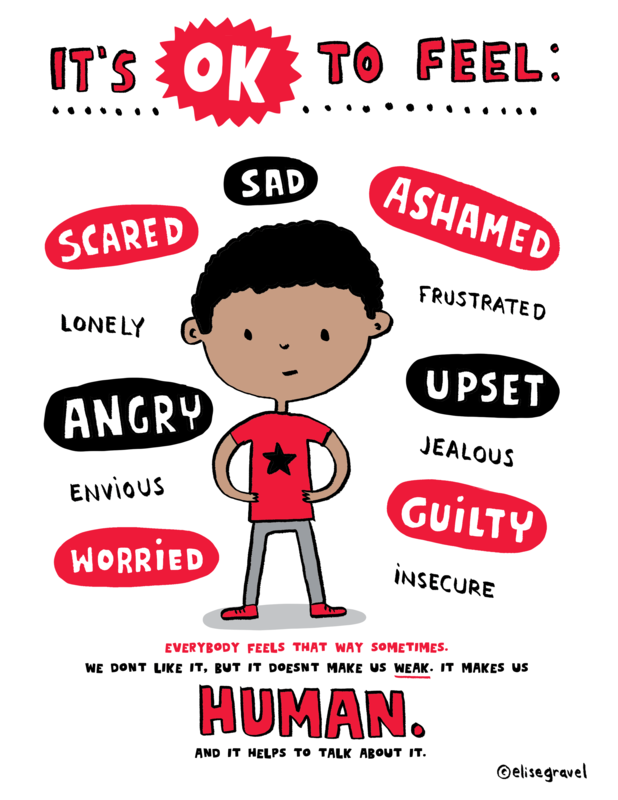 New free poster: boys have emotions too! Here’s a new free poster I made to help boys accept that they can have emotions too, that it’s normal, and that it doesn’t make them weak. All humans have emotions and it’s perfectly fine to show them and talk about them! Parents and teachers, if this is a message you’d like kids to get, feel free to print this for your home or classroom (no commercial use, please). You can download and print it HERE. To see my other free posters, click HERE and then on “free printable stuff”. If you’d like to use this for commercial/non-personal use, contact my agent HERE. 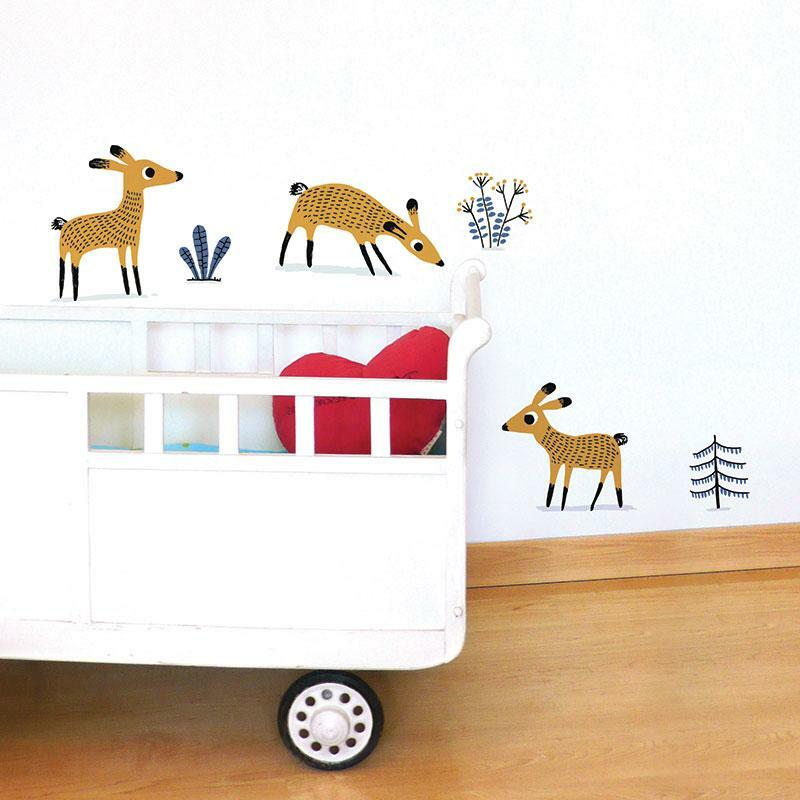 New: vinyl wallpaper and decals! 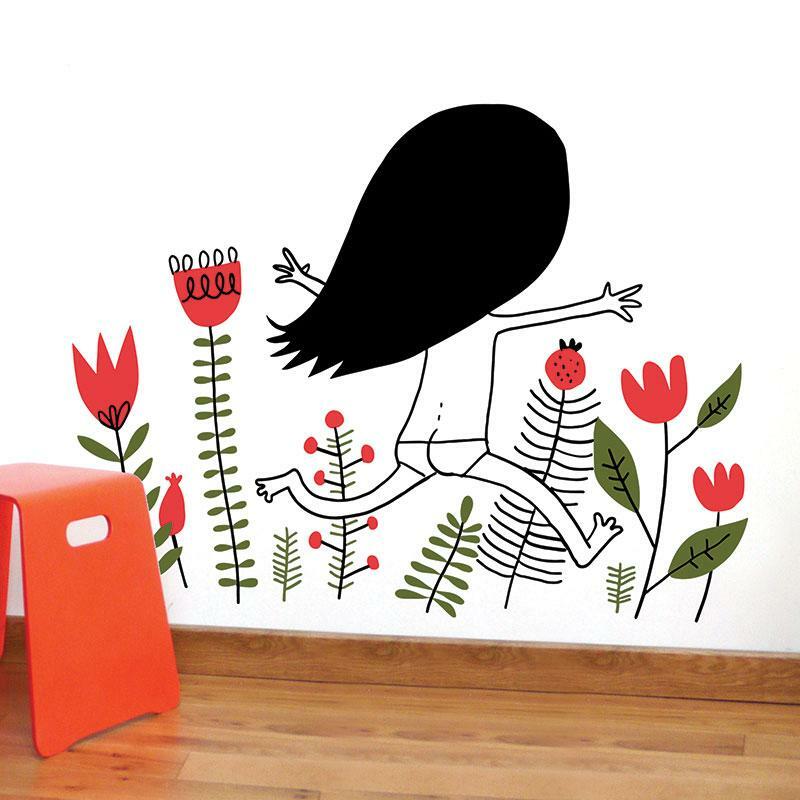 I’m proud to show you this ADzif collection of wall decals and wallpaper based on my designs and illustrations. Some of them are based on my books; some on what I’d like on my own walls. 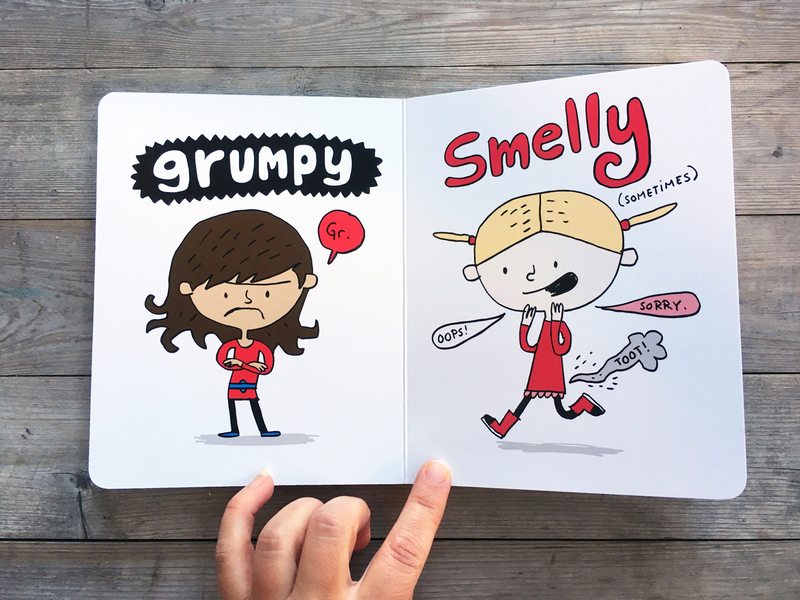 You can view and buy them HERE; there’s much more on their site than what I’ve shown on this page! Olga 2 – We’re out of here! “In her second science-based adventure, inquisitive Olga relies on research to help determine what ails her beloved pet, Meh. 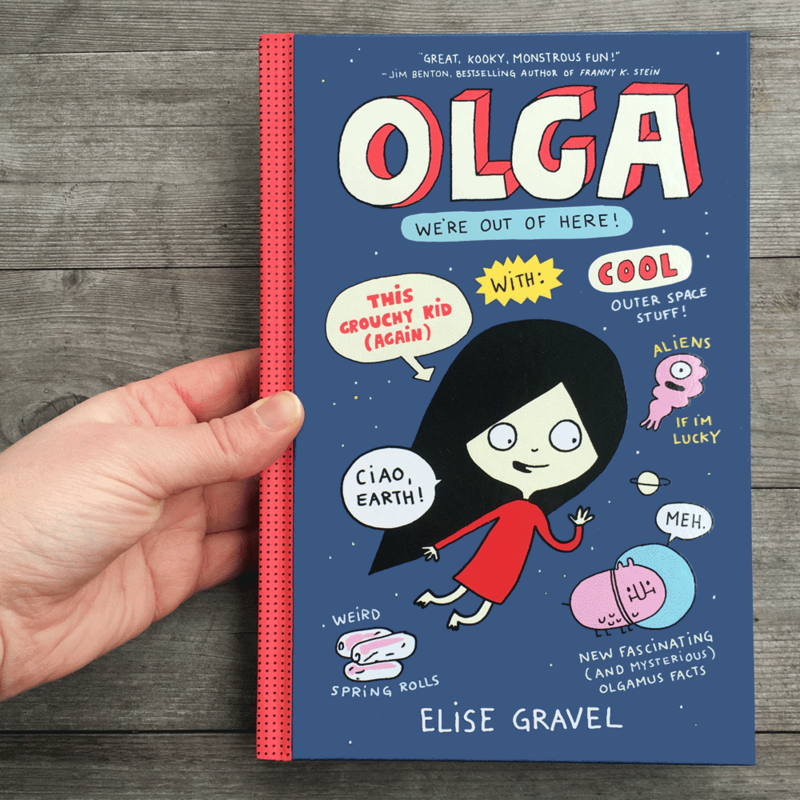 After discovering a new species—the Olgamus ridiculus—in her last adventure (Olga and the Smelly Thing from Nowhere, 2017), fact-loving and gently misanthropic Olga has decided to leave Earth with Meh, who she’s decided must come from another planet. 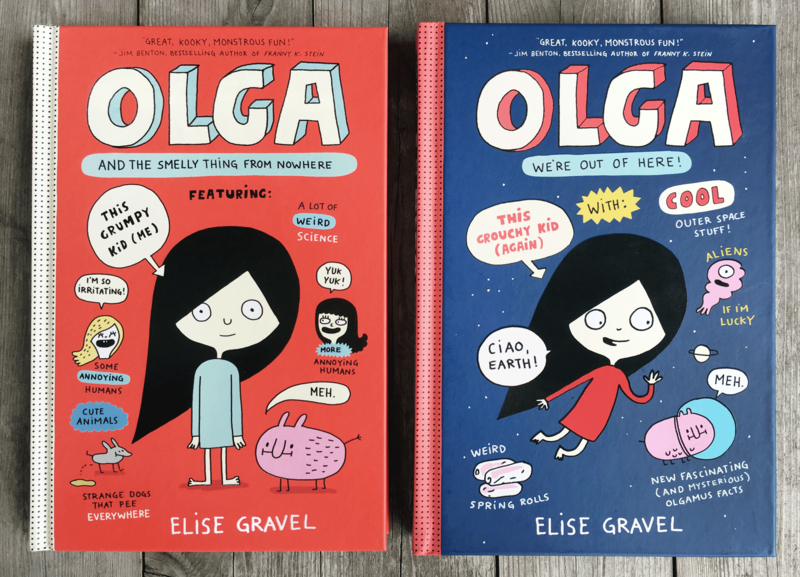 The black-haired, pale-skinned girl gathers information about what they will need for their intergalactic journey by visiting her favorite punk-rock librarian, Ms. Swoop, amassing space facts from the internet, and learning about astronaut-appropriate fare. However, Olga soon notices that something is wrong with Meh when her companion’s usually gentle demeanor and appearance both change for the worse. Will Olga be able to find out what is wrong with her cherished Olgamus ridiculus so they can embark upon their cosmic journey? Question-loving Olga describes herself as “grouchy,” but this seems a bit unfair; Olga is a strong—and wholly likable—character who values research and fact (usually over human interaction) and is not afraid to speak her mind, whether she’s confronting the popular girls or a vainglorious veterinarian. 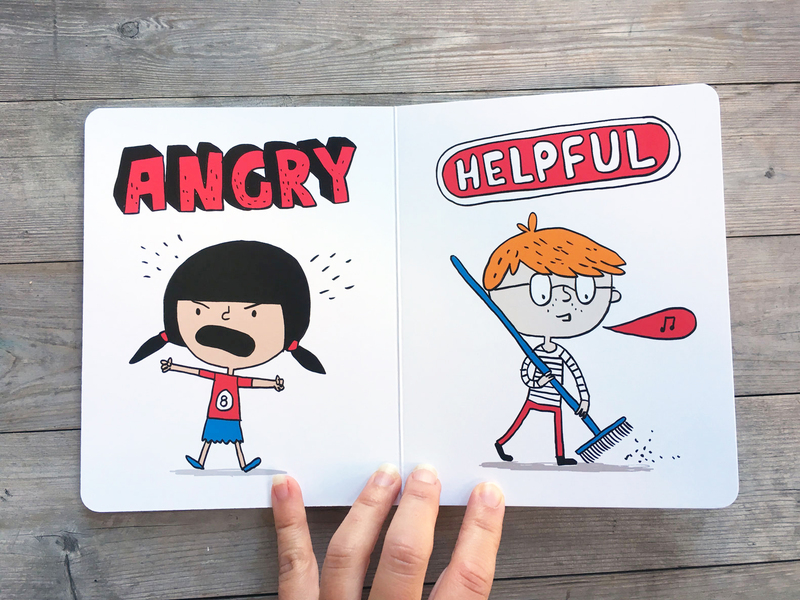 With pleasing, pink-toned two-color illustrations in an appealing graphic-hybrid format with large, charming artwork, this should appeal to an audience who likes their protagonists to be bold, smart, and welcoming of a gross-out joke or two. You can get the book in all bookstores! You can find the Kirkus review HERE.